Signal problem: Traffic | Type of problem: Indicator Facing Wrong Direction | Details: Notified Dagle. 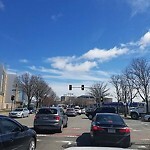 MassDCR reported that this isn't a state light. 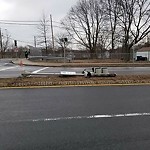 Type of problem: Other | Pole knockdown: Yes | Details: BPD reports traffic signal pole knocked down. Notified Daygo, after-hours line at 2:39am on 2/24/19. Signal problem: Pedestrian Signal | Type of problem: Other | Pole knockdown: Yes | Details: Constituent reporting pedestrian signal knocked down. Notified Dagle 3:16 AM.